We believe that part of loving the Lord with all our minds means that we make a discipline of life-long learning. One fantastic way to do that is through reading. Below are recommendations of books of various sorts on a range of topics, all of which can keep us growing in the Lord. The ESV Study Bible is contains the biblical text of the ESV as well as hundreds of notes, maps, charts, and articles that help in answering historical and theological questions. Available in hardback, paperback, leather, large print, and several other editions. Highly recommended! 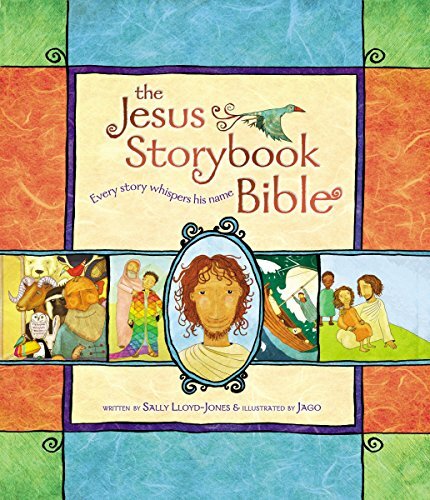 The Jesus Storybook Bible: Every Story Whispers His Name is a fantastic storybook Bible for children. Full of great pictures and easy to follow text, the real blessing of this book is how it reveals that the whole Bible is about Jesus Christ.